A woeful Inter Milan blew the chance to finish top of Group A as they were beaten by Werder Bremen. A woeful Inter Milan blew the chance to finish top of Group A as they were cut down by a resurgent Werder Bremen. Goals from Sebastian Prodl, Marko Arnautovic and Claudio Pizarro compounded the misery on a woeful night for Rafa Benitez. The pressure on the Inter boss will now increase as Bremen remain bottom of the pile despite their final matchday success. Inter arrived in Germany with a much-changed line up for a game they needed to win if they were to have any chance of overhauling Spurs. 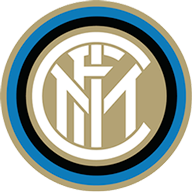 Key names such as Wesley Sneijder, Lucio and Diego Milito did not even travel, while injury deprived them of Julio Cesar, Walter Samuel, Coutinho, Joel Obi, Maicon and Christian Chivu. Not having that abundance of talent at your disposal is sure to weaken your team. But it was the manner of the defeat that will surely worry Benitez. Inter are the Champions League holders and won the treble last season, but there was scant evidence of the spirit that saw them triumph last year. It took them until the 44th minute of the first half to register their first effort at goal which was a Goran Pandev header that went over. Prior to the game, they had lost four of their last eight games. So they would not have welcomed a tie against a Bremen team that had not lost to Italian opposition in eight games. It was a record that, in truth, never looked like being broken. Hugo Almeida had the first sight of goal on the half hour with a clever volley after a neat bit of control that was tipped over by Paolo Orlandoni. That effort signalled a period of Bremen dominance. Inter were disjointed with so many changes and were made to pay. Aaron Hunt raced down the left before getting to the byline and putting in a dangerous ball that was cleared by Esteban Cambiasso. That proved just a temporary reprieve. Torsten Frings put in a corner that Prodl rose to head home to give Bremen a deserved lead after 39 minutes. Arnautovic then doubled the advantage with a sweet left-foot volley from Almeida's cross from the left after 49 minutes. It was sweet revenge for the 19-year-old who spent last season on loan at Inter but only made three appearances. He should have doubled his tally but he mistimed his header and it came off his shoulder. Bremen went on to dominate the reminder of the half and hit the post and bar as they exerted their dominance over a poor Inter team. 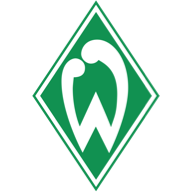 Claudio Pizarro claimed the third in the 89th minute with a sweet shot on the turn from outside the area to finish off the game as a contest. Pandev almost salvaged some pride for Inter in the dying embers of extra time but his effort came back off the post.